Jessica Bendinger has worked as a screenwriter (Bring it On), producer, director, a journalist for Spin Magazine and MTV News, and a fashion model. 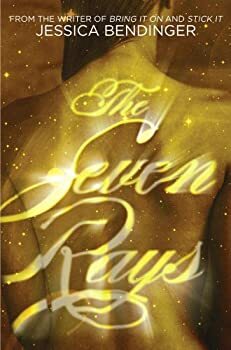 She lives in Los Angeles with her dogs, and she is writing her next feature film and working on the sequel to The Seven Rays. Learn more about her work at Jessica Bendinger’s website. Beth Ray is beginning to realize she's not just your average teenage girl. She's seeing strange visions, and then there are the letters: shiny gold envelopes containing hints of a great destiny. Her mother tries to keep them from her, but the envelopes manage to find Beth wherever she goes. And then a big hairy bloke shows up on a flying motorbike and takes her to a wizard school in Scotland... wait, wrong book.